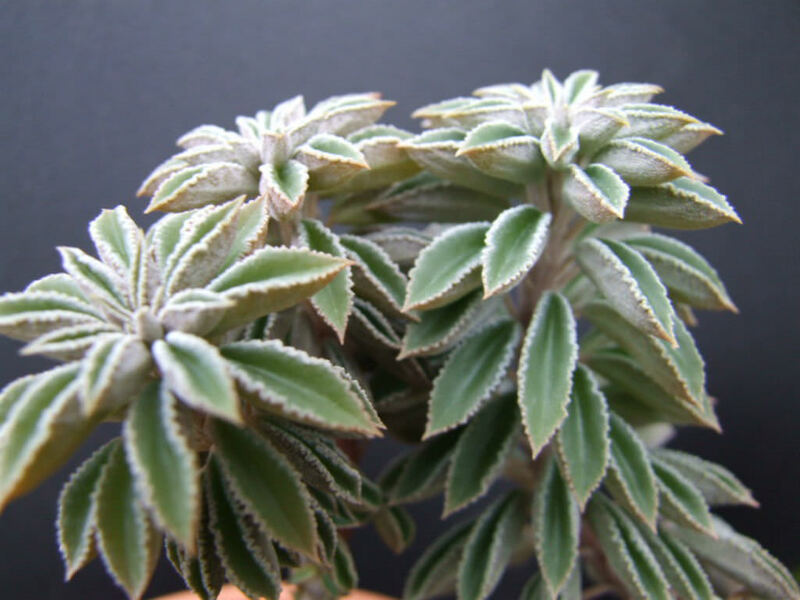 Peperomia wolfgang-krahnii is a stunning, miniature succulent plant with beautiful, window-topped, grey-green, warty leaves. 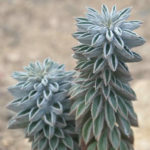 It branch to form a small, short, mini-shrub up to 5 inches (12.5 cm) tall. 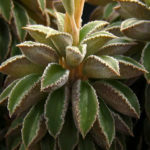 The leaves are alternate, petiole indistinct, lamina warty below, grey-green, longitudinally folded with a shiny grooved, smooth, dark green window. The wrinkled edges of the leaf make it very special. Inflorescences are narrow, slender, terminal panicles with insignificant flowers. USDA hardiness zones 10a to 11b: from 30 °F (−1.1 °C) to 50 °F (+10 °C). 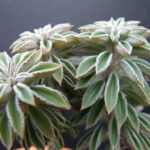 Peperomias are not particularly hard plants to grow and their small size and delicate leaves make them perfect for desktops and dish gardens. They will rarely overtake their neighbors or shade them out. 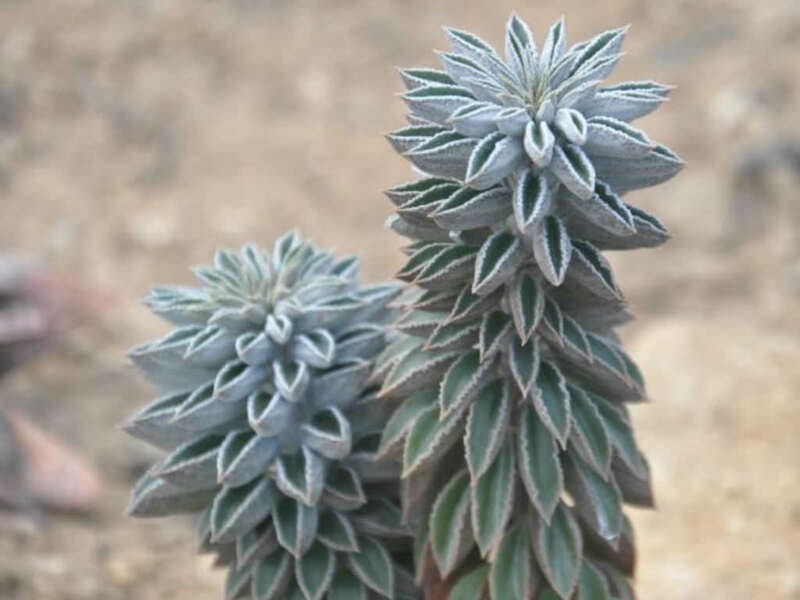 In short, they are perfectly mannered and attractive little plants. The biggest problems are usually related to watering. They like steadily moist soil, but can be very sensitive to overwatering. 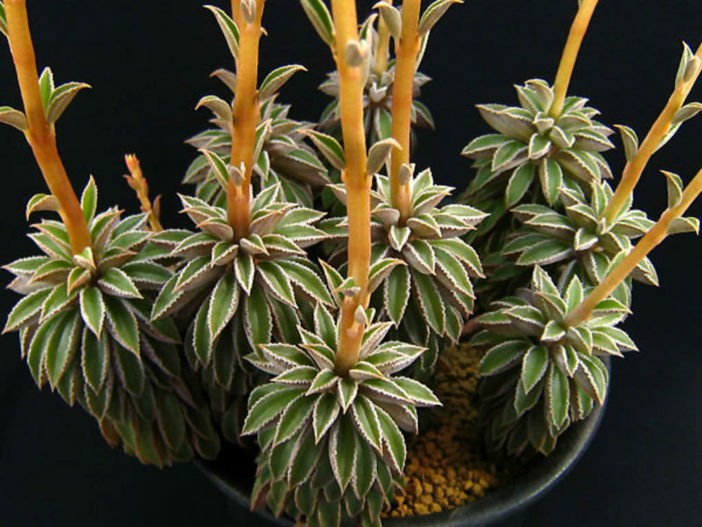 Overwatered Peperomia tend to wilt or have raised, scab-like protrusions on their leaves. Don’t be alarmed if your plant loses a few bottom leaves, but massive leaf-drop is usually due to a temperature change or fertilizer problem. Lastly, Peperomia are susceptible to mealybugs, so keep an eye out for cottony white masses on the stems or undersides of leaves. These plants thrives when slightly pot-bound, so don’t over pot them. 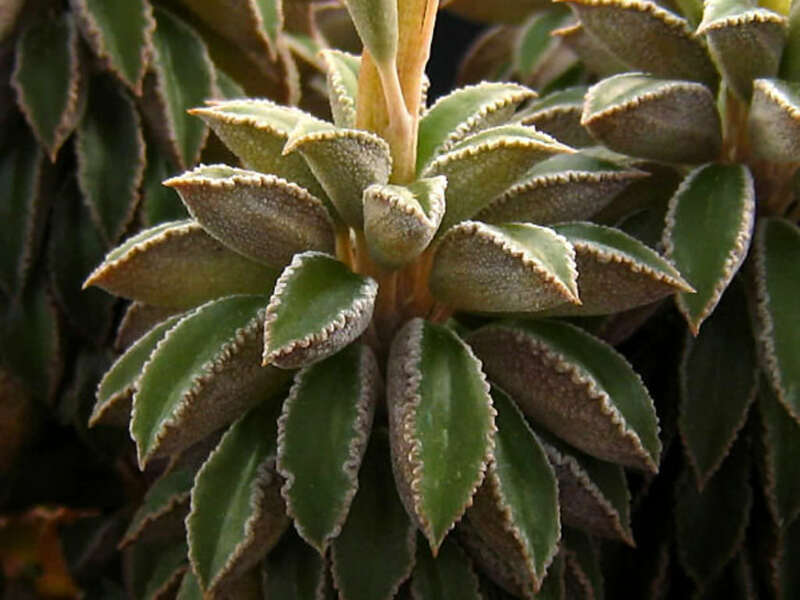 Peperomia wolfgang-krahnii is native to Peru.